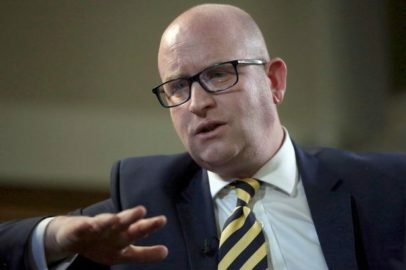 Nuttall blamed a ‘press officer’ for other, more believable claims; that he’d scored the winning goal in the 1966 World Cup final, held a PhD from John Lennon University and been awarded the Nobel Prize in Theoretical Physics, for work on limits to people fitting into a finite place. Mr Nuttall, a candidate in the Stoke parliamentary by-election,is campaigning to bring back honesty to UK politics. He is 63.